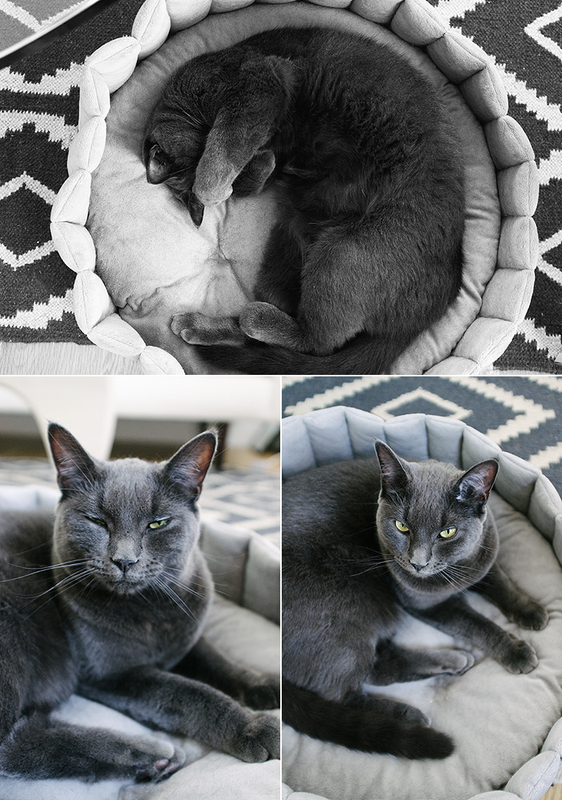 Definitely has some Russian Blue blood. I used to have one & they are just the most perfect cats, smart, loving and beautiful. Such a cutie. Lovin' the groggy face! Love Avedon!! :) He's so cute, I love when they do the paw over the eye.